How should we use Cloud? This is the key question at the start of 2013. The Open Group® conferences in recent years have thrown light on, “What is Cloud?” and, “Should we use Cloud?” It is time to move on. The question is an interesting one, because the answer is not necessarily, “Use Cloud resources just as you would use in-house resources.” Of course, you can use Cloud processing and storage to replace or supplement what you have in-house, and many companies are doing just that. You can also use the Cloud as a distributed computing platform, on which a single application instance can use multiple processing and storage resources, perhaps spread across many countries. It’s a bit like contracting a company to do a job, rather than hiring a set of people. If you hire a set of people, you have to worry about who will do what when. Contract a company, and all that is taken care of. The company assembles the right people, schedules their work, finds replacements in case of sickness, and moves them on to other things when their contribution is complete. This doesn’t only make things easier, it also enables you to tackle bigger jobs. Big Data is the latest technical phenomenon. Big Data can be processed effectively by parceling the work out to multiple computers. Cloud providers are beginning to make the tools to do this available, using distributed file systems and map-reduce. We do not yet have, “Distributed Processing as a Service” – but that will surely come. Big Data is the main theme of the Newport Beach conference. The plenary sessions have keynote presentations on Big Data, including the crucial aspect of security, and there is a Big Data track that explores in depth its use in Enterprise Architecture. There are also Cloud tracks that explore the business aspects of using Cloud and the use of Cloud in Enterprise Architecture, including a session on its use for Big Data. Service orientation is generally accepted as a sound underlying principle for systems using both Cloud and in-house resources. The Service Oriented Architecture (SOA) movement focused initially on its application within the enterprise. We are now looking to apply it to distributed systems of all kinds. This may require changes to specific technology and interfaces, but not to the fundamental SOA approach. The Distributed Services Architecture track contains presentations on the theory and practice of SOA. Many of the conference presentations are based on work done by Open Group members in the Cloud Computing, SOA and Semantic Interoperability Work Groups, and in the Architecture, Security and Jericho Forums. 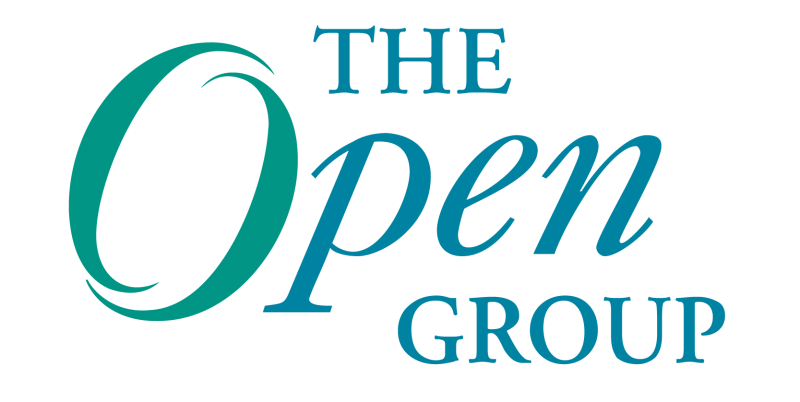 The Open Group enables people to come together to develop standards and best practices for the benefit of the architecture community. We have active Work Groups and Forums working on artifacts such as a Cloud Computing Reference Architecture, a Cloud Portability and Interoperability Guide, and a Guide to the use of TOGAF® framework in Cloud Ecosystems. Our conferences provide an opportunity for members and non-members to discuss ideas together. This happens not only in presentations and workshops, but also in informal discussions during breaks and after the conference sessions. These discussions benefit future work at The Open Group. They also benefit the participants directly, enabling them to bring to their enterprises ideas that they have sounded out with their peers. People from other companies can often bring new perspectives. Most enterprises now know what Cloud is. Many have identified specific opportunities where they will use it. The challenge now for enterprise architects is determining how best to do this, either by replacing in-house systems, or by using the Cloud’s potential for distributed processing. This is the question for discussion at The Open Group Conference in Newport Beach. I’m looking forward to an interesting conference!